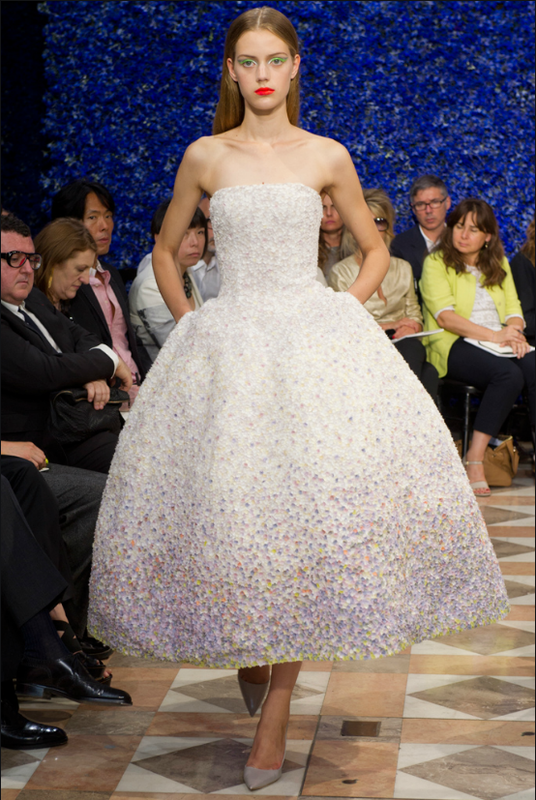 One trend we couldn’t get enough of at Haute Couture Fashion Week was Christian Dior’s prom style dresses. 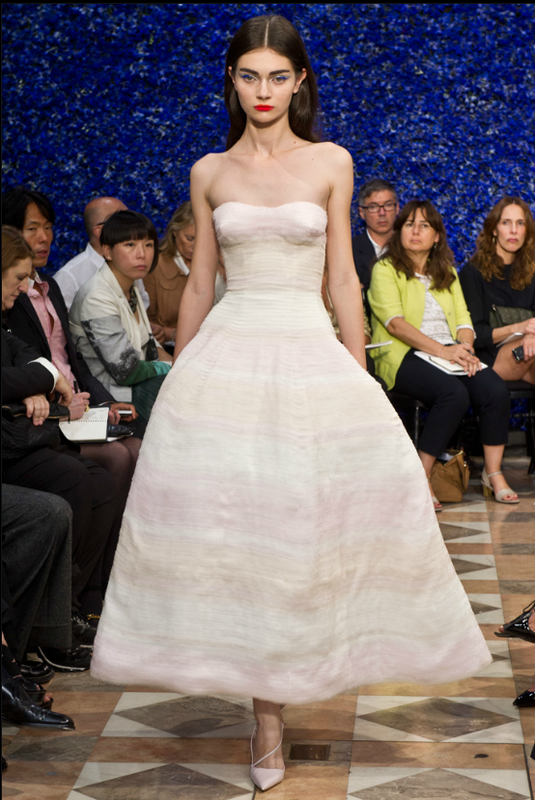 The traditional strapless cut and full skirt were married with pastel tones and delicate embellishment to create looks perfect for a trip down the aisle. We love the contradicting pop red lip and neon eyeliner to toughen up this girly style. Would you try this look on your special day?